Let’s face it- You logo is your brand’s identity and a face of your company. It is the first thing people will notice and remember about your business or brand. Most of us could easily name a few iconic logos that captures our mind like Nike’s swoosh, Apple’s bitten Apple etc. Now, as a businessman, you also want to create a logo that stands apart from the competition. Here, Renderforest can help you. This free logo maker can create a big difference in creating a logo for your business. It can help you to create an outside-the-box logo that can stick in people’s mind. Coming to the main topic- How to make your logo stand out? In this post, we are going to learn about it in detail. If you want to create a killer logo- Keep it simple Stupid (K.I.S.S). For instance, the old Apple logo was rainbow colored, but soon after the company realized the importance of a simple logo, they came up with a solid black or simple grayscale design which is easy to remember. This was a clever move by the company. So, when you are planning to create a logo, make sure to keep it simple aesthetic that customers appreciate. You can get a number of websites that offers precise information on designing a logo. Remember, the more simple your logo is, the more likely people will remember it. A logo can be an image, character, name or anything. But, it’s a face and an introduction to your brand. When designing a logo, ensure that is something that can reach to your audience and they will remember it. If you wish that your logo to be an eye-catcher, make sure it represents your brand and it’s ideology. More than anything, understand what your logo actually means. It must have a history, meaning and purpose. Since the logo is the visual keystone of your brand and concise expression of your personality, use an honest approach for the most successful results. When it comes to the personality of a brand, think about every aspect of it. To grab attention, nothing can beat the effectiveness of bright and bold colors. But most of the time, these colors may be overlooked, exuding sophistication. Every color has different effects and can easily bring nuance to your brand’s message. So rather than getting trapped of conveying some irrelevant message, ensure you know the science and psychology behind the colors. A logo should be a perfect balance of quirky and simple. If you want your logo to be stand-out from the crowd, make it flexible. Here flexibility means, your logo should look impressive in all mediums like postal stamps, mobile, websites, pen, billboards etc. It should be enough flexible that it looks ‘wow’ in all forms. For example the logo of FedEx. It has a simple logotype with a small twist. The image it uses has a negative space that creates an arrow that represents direction, precision and speed. The color of Ex is different and classified the sort of shipping. White space is a life saver. When it comes to designing a logo especially using graphic art, you can easily concentrate on the spaces you are creating with the help of the tool. The blank areas of your logo offer a reference for simplicity, weight and clarity. But if white space is insufficient, it will look crowded and cheap. So, make sure your logo has sufficient space so it won’t look messy and over-crowded. If you want your logo stand out, make sure – is easy to memorize. Your logo must be capable to catch the attention of your audience and they should remember it for a long time. It should engage and invite potential customers to your brand. For instance, when you listen to the word ‘iPhone,’ the first thing you remember is the logo- bitten apple, or when you heard about Mcdonalds, you remember the golden arches with M symbol for McDonald’s. When communicating a message to the audience, shapes play an important role. For instance, sharp corners symbolise passive messages, whereas rounded corners signify hard-hitting messages. If your business is dedicated to the gaming industry, then using smooth round shapes won’t be the right choice as gaming includes great action and excitement. If you work in some educational project, then you should avoid funky shapes and signs. When designing a logo, consider your audience and if the logo you will be creating suits your business! Many people often commit a single mistake and that is ripping off designs from other brand’s logo and make it their own. Honestly, this is one of the biggest failed attempts at plagiarism. For instance, the double C of Chanel has been copied many times, but still, nobody can affect its image. It’s still a luxury brand. 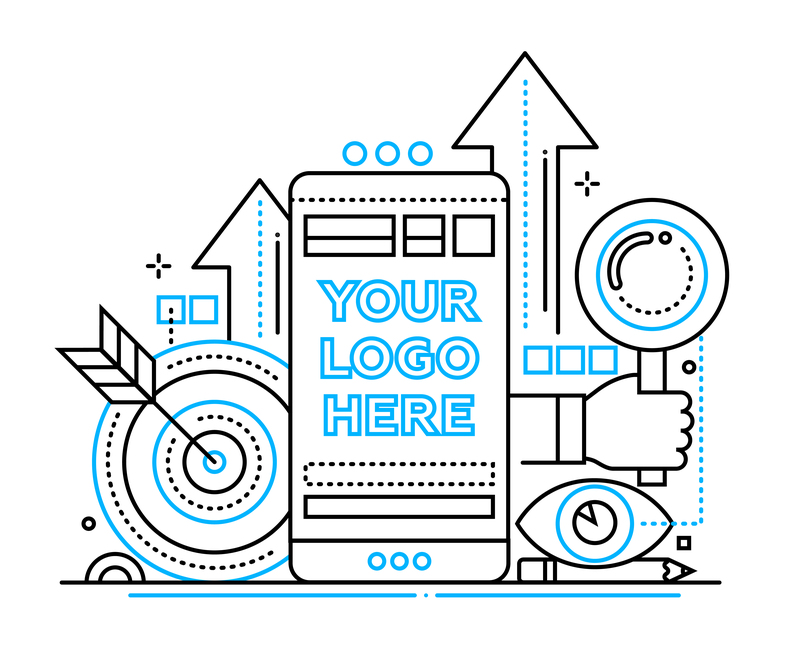 So, if you want to make your logo stands apart, first study your needs and come up with a unique design that represents your product or website as a whole. A good logo can make or break the impression of your business. It is something that communicates with your audience and conveys a story of your business. Let’s take the example of Apple’s logo. Other than being futuristic and sleek, it describes the brand perfectly. It gives a message of ‘Friendlier’ and ‘lighter’ that is what they want to convey to their audience. Typography is no rocket science. It is one of the most crucial factors of a brand and a well-crafted logo. If your logo doesn’t have a typography, odds are it won’t meet the expectations of your marketing campaigns. Typography helps you to choose the right font that is easy to read and understand. If you want a unique logo that can take your business to the next level then trust Renderforest. The professional logo making tool is easy to use and can design a logo according to your business. The logo maker can create a logo within a matter of a few minutes. It collects information and uses machine learning algorithms that create the logo for FREE. It is vital for brands to take logo seriously, especially when you are facing certain threats from competitive forces. A logo can give the edge to your business and become an ultimate trademark. It helps you to distinguish your services or products from competitors and make your business stands apart. Dental Implants, Bridges, or Dentures?